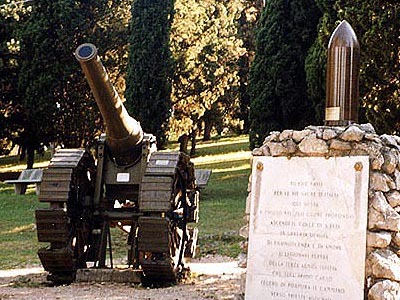 Redipuglia, the small village at the feet of the Carsic chain near Gorizia, is wroldwide reknown for the cruel battles that here took place during the big World War. As well as reknown is its Monumental Militar Sacrarium, the imponent big stairs shaped mausoleum that testifies the more than 100 thousands solider died here in such war times. On the close Sant Eliah hill, once used as a military churchyard, now a memorial park resembles that times with several withness objects. Guns and Howitzers, trench warfares, bullets and more common objects and items are still perfectly preserved here in the park as well as in the two museums, one at the top of the Sacrarium and one at the feet of the hill. 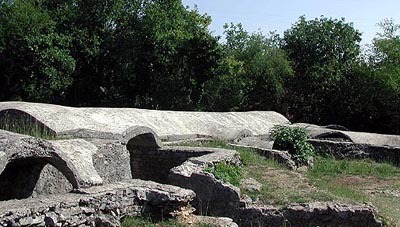 Visiting Sant Eliah hill and the monumental military sacrarium of redipuglia will be an impressive experience and memory.